We, the Brothers of Epsilon Chapter, want to combat the disappointing narrative that Black men don't respect, protect, or even love their women. 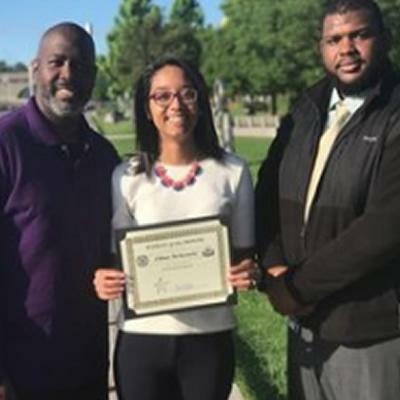 In fact, the men of Omega Psi Phi Fraternity feel like we could never do enough to praise and honor them for all that they do for us and for the world. As such, we are proud to introduce our Woman of the Month Series! 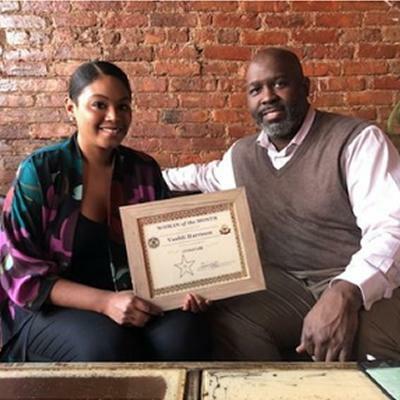 Every month, we will recognize the accomplishments of a woman (or women) serving the New York City community in a different professional field. We'll present her with a certificate and do a short interview with her. We know that this is just a small token of our endless gratitude, but we hope to be an example for all men everywhere, constantly searching for and acknowledging the women around us. The April 2018 Woman of the Month is Vashti Harrison for her excellence in Literature! In addition to being an author, she is also an illustrator and a filmmaker. She has a BA from the Univ. of Virginia with a double major in Media Studies and Studio Art and an MFA in Film and Video from CalArts. Originally from Virginia, she has Caribbean roots and currently lives in Brooklyn. Her list of books includes "Little Leaders: Visionary Women Around the World," "Little Leaders: Bold Women in Black History," and "Dream Big, Little Leader." With editions in the United States and in the UK, her books provide inspiration and positive images for little girls of color around the world. 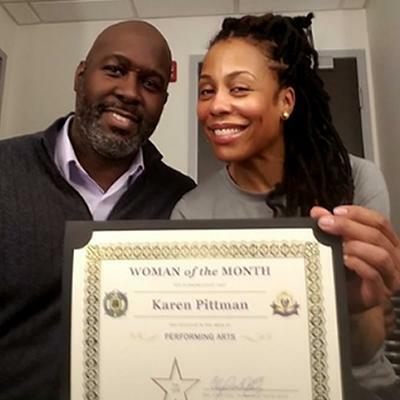 The Epsilon Chapter Woman of the Month for February 2018 is Karen Pittman (@pittmankaren) for her excellence in the Performing Arts. Over her storied career, she has most recently starred in the Lincoln Center play Pipeline, in the Law and Order television franchise, and in the Netflix hit Luke Cage. Only for such a talent, and such a dear friend, would I travel all the way to Boston to present her with her award. The January 2018 Woman of the Month is Lauren Holland for her excellence is Business and Finance. 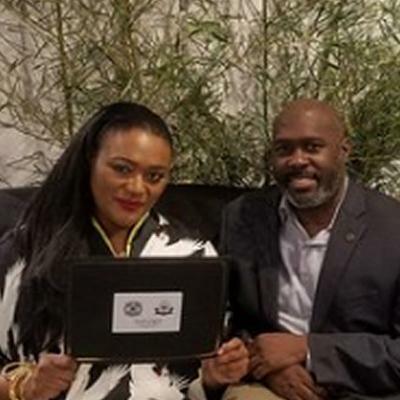 With an undergraduate degree in Chemical Engineering, she obtained her MBA from the prestigious Booth Business School of the University of Chicago. She then started her finance career at Lehman Brothers in 2001 and is currently the Global Head of Paper and Packaging Research and Basic Industrials Investment Grade Strategy at CreditSights, an independent investment research firm. 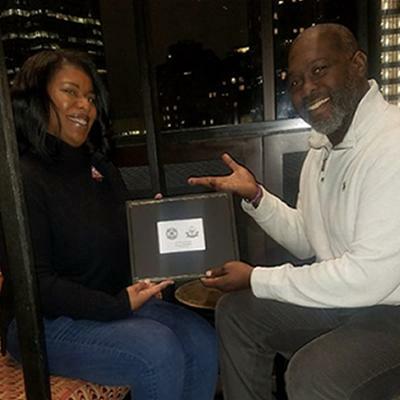 Her involvement in the community includes her role as Co-Chair of Wall Street Friends, a national network of over 3000 diverse finance professionals created to foster stronger relationships and to promote retention and career advancement. She is also a proud member of Delta Sigma Theta Sorority, Inc. The December 2017 Woman of the Month is Anne-Marie Malcolm, Principal of Madiba Prep Middle School, for excellence in Educational Leadership. Her personal journey is one that speaks to the power of caring in education. If not for that adult who put her back on the path to college as a high school senior in Brooklyn, who knows where she would be. Instead, we are blessed with someone who has spent her entire life since that moment caring for children herself. In this, her 2nd principalship, she is transforming Madiba Prep into a place of learning, leadership, and love. High expectations can be seen and felt are everywhere. Through her partnerships, programs, and persistence, Anne-Marie is changing the trajectory of the lives of her students. Introducing our Woman of the Month for October 2017, Paulette Cleghorn, creative director at Ashdon Brands, housing such high profile bridal and special occasion labels such as Victor Harper, Cristiano Lucci, Simone Carvalli, Ashley & Justin, Zoey Grey, and Disney's Royal Ball. She also serves as head designer and creative director at Yumi Katsura Couture, one of Japan's and the world's most prolific design houses, whose wedding dresses and couture creations are considered modern masterpieces. Katsura has showcased the most expensive wedding dress sold to date, valued at one billion Japanese yen. 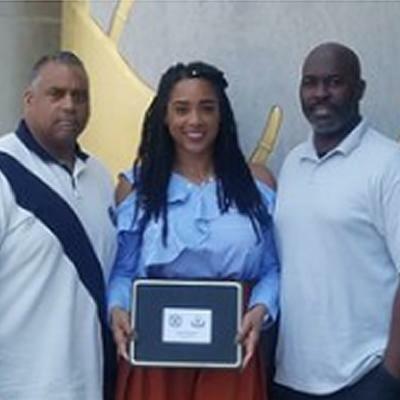 For her excellence in the category of Sports, our Woman of the Month for September 2017 is Jasmine Ray, Founder, President, and CEO of the US Wall Ball Association! Created in honor of her brother, the USWA is an international sports league bringing organized, competitive handball to communities all over the world. 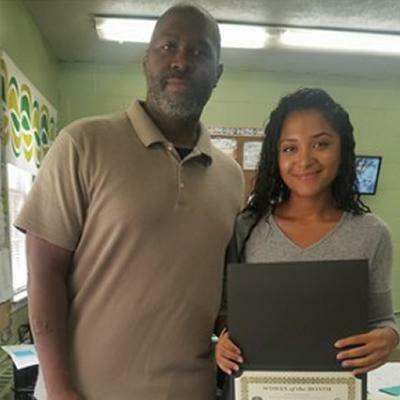 Jasmine uses this inexpensive, accessible sport to promote healthy living through exercise while also helping children and young adults to focus on their education. Our August 2017 Woman of the Month is Nicole Grimes, PhD for her excellence in the category of Science, Technology, Engineering, & Mathematics (STEM)! She is currently the Principal of Dominican Academy, a private high school for girls in Manhattan. I'm happy to announce our Woman of the Month for July 2017: Sonya Tennell! 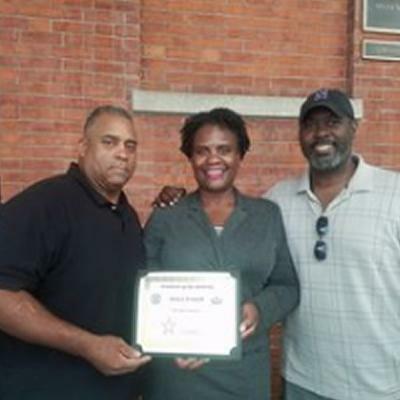 Sonya, who is being recognized for her excellence in the Legal Profession, is an Assistant District Attorney for Bronx County. 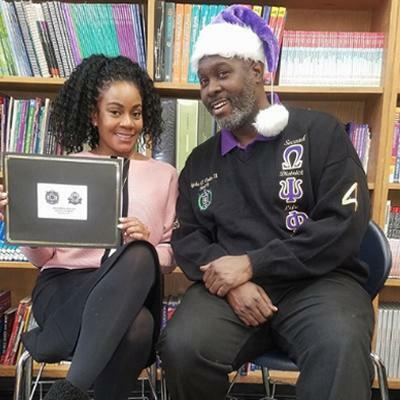 She's also President of the North Manhattan Alumnae Chapter of Delta Sigma Theta Sorority, Inc.
On top of all of that, she finds time to do other work in her community, including adopting a 4th grade class at her old elementary school every year! Our first awardee is Chloe McKenzie, Founder and CEO of Black Fem, Inc., a company that works with schools and other agencies to provide financial literacy to girls. Here she is with our Basileus, Ernest Pierre-Louis and Clyde Cole, Committee Chair.